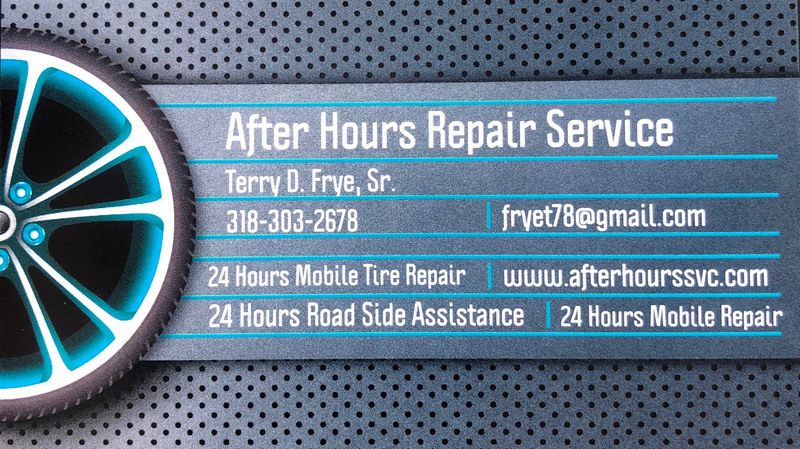 After Hours Repair Service also offers roadside tire repairs immediately. Whether your tires are deflated, torn, or has blown up, you can rely on After Hours Repair Service to be punctual and efficient. Our experienced technicians will repair or help replace any tires that are in dire condition. We will also resolve and inform you of any unforseen issues that may have appeared. Our priority is to get you safely to your destination in a timely manner, while providing excellent costumer service. Contact After Hours Repair Service today to receive unparalleled service.